47" x 54" Car Seat Cover Ideal for all travelers and tag along pets. The BRINKMANN PET? 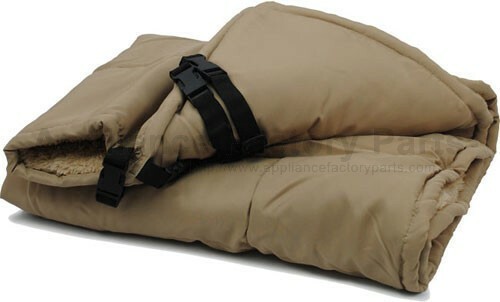 47 inch x 54 inch Car Seat Cover features a brushed canvas bottom with removable nylon straps to hold the cover in place. The warm natural Berber top, with one inch thick batting in the liner, is a soft place to rest while traveling. By attaching to the front and back headrest, this throw will not only provide comfort for your pets, but also creates a safety barrier. Color: Brown Care Instructions This car seat cover is easy to care for, just machine wash and line dry. We're adding new 876-MA12-00000.2 parts all the time, contact us for pricing and availability.